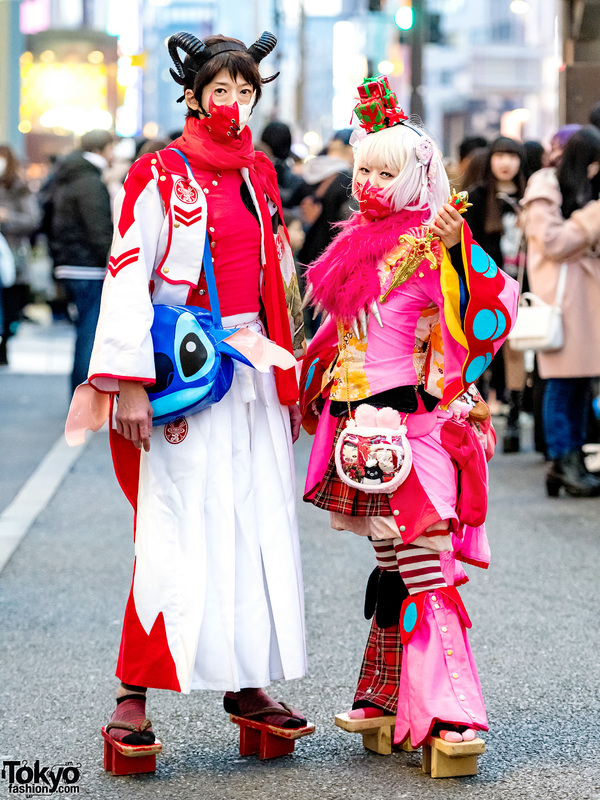 Angelers dressed in Takuya Angel avant-garde pieces while out on the busy streets of Harajuku. Harajuku girl in an all black ensemble, print top, motorcycle jacket under a kimono jacket, denim short, stockings and suspender, and ankle boots. 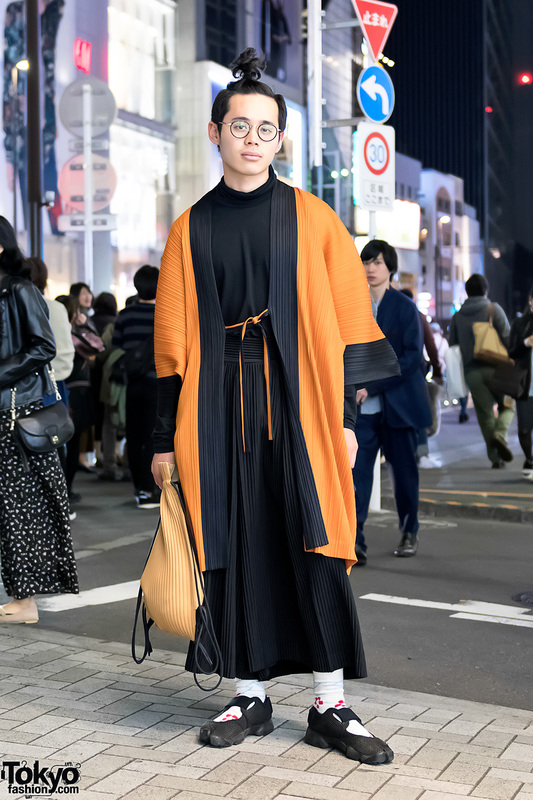 Harajuku guy wearing a pleats look by the Japanese designer Issey Miyake and a kimono jacket from the Issey Miyake x Ikko Tanaka collection. 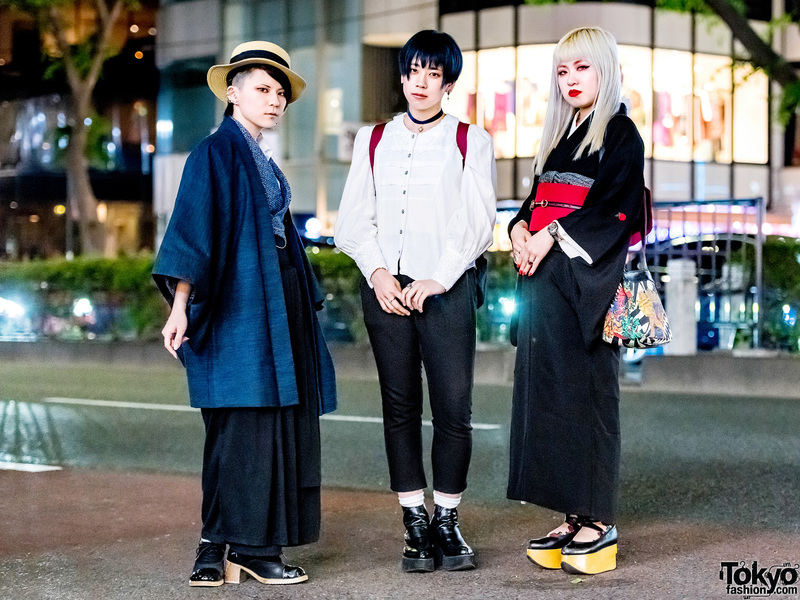 Harajuku girls wearing kimonos with geta sandals, ankle booties and handbags. 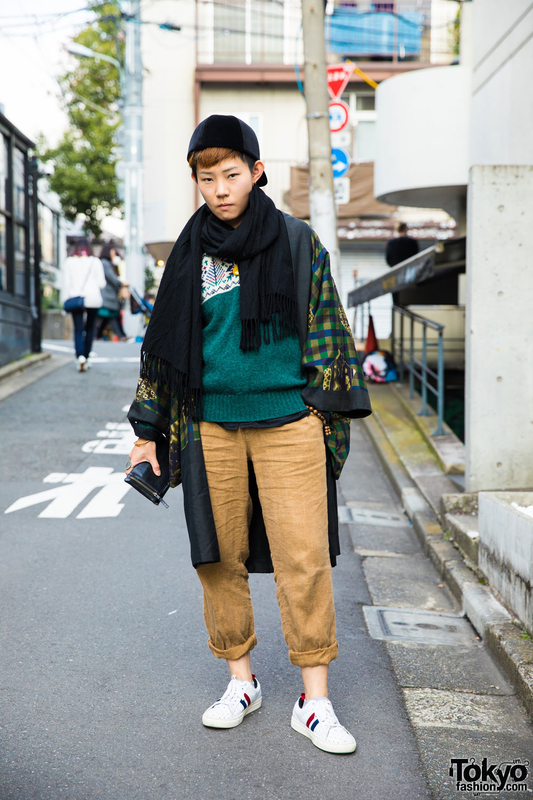 Harajuku street styler w/ cuffed pants, sweater, kimono jacket and white sneakers. Student on the street in Harajuku girl mixing Angelic Pretty fashion with vintage kimono style and adding a one-of-a-kind handbag and platform creepers. 15-year-old Harajuku girl wearing a kimono jacket over a crop top, wide leg pants, tall platform boots and leather accessories.